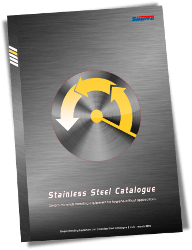 Simpro has been supplying stainless steel equipment for the food-processing, chemical and pharmaceutical industries since 1994, but although our hygiene-critical product range has grown over the years, we've never had a proper comprehensive catalogue. Well, we do now. You can download the PDF file by clicking here (open with Adobe Reader for the best experience), or just browse the embedded document below.